Hamburg: One of the world’s powerhouses of shipping is set to fade, says a leading Hamburg financier. Tobias Koenig, one of the best known names in ship finance around the world, says that thanks to the demise of the KG system the number of shipowners in Germany is likely to drop from 2012’s figure of around 400 to just 40 in 2016. Koenig, who started out in shipping with Hamburg Sud 32 years ago, has this year founded an investment vehicle called Lexington Maritime. He was previously the founder and majority shareholder of Koenig & Cie, an investment firm with more than $6bn on its books. He sold the eponymous firm last year to private equity investors Tennenbaum Capital Partners and Delos Shipping. On the crisis facing German shipping, Koenig is forthright. “The German capital markets are totally defunct. The once successful KG system is still a no-go and it will stay like this for many years to come,” he says. 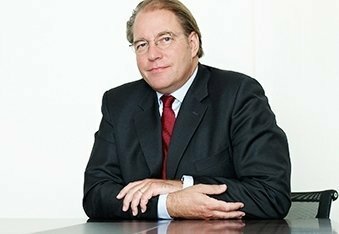 Koenig expects German banks to terminate more shipping companies this year. “The pressure is increasing and I expect to see more changes to happen in the next 12 months. This will have a major impact on the German shipping industry,” he says. Private equity is the only driver in the shipping industry today, Koenig says. As a next step, however, Koenig says it is vital to work on the development of the retail market. “Who else could be buying when PE wants to exit three or five years from now?” he muses. As to what he will do with Lexington Maritime, the name a nod to New York where he spends much time, Koenig is coy, saying he is still in the process of evaluating options to decide what to do next. “I am working on a few different projects and depending what works, I might move in different directions,” he says.